The amount of loans taken out for stock purchases has been on a drastic downtrend over the past month, reflecting the recent collapse of stock prices and shrinking investor confidence, data showed Thursday. According to the Korea Financial Investment Association, the balance for margin account loans stood at 9.4 trillion won ($8.4 billion) as of Monday, down 2.8 trillion won, or 23.8 percent, from a month earlier. This was also the lowest since a balance of 9 trillion won observed on Nov. 3 last year. Margin account loan balance refers to the amount that individual stock investors borrowed as loans from securities companies to purchase stocks. As borrowers may start to make profits only after paying back the due principal and interest, an uptrend in the margin loan balance generally indicates a bullish market in which aggressive investors are willing to pay the expenses. 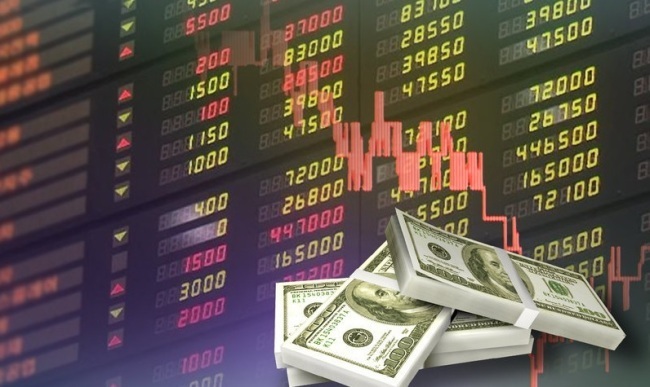 The corresponding amount had peaked at 12.6 trillion won on June 12, the day of a historical US-North Korea summit held in Singapore, and had remained relatively steady until nose-diving in October. Last month, South Korea’s benchmark bourse Kospi shed 13.37 percent from the previous month, while the secondary Kosdaq took a 21.11 percent dive. “The decrease in stock loan balance indicates a drop in (investors’) preference for risk,” said Kang Seung-geon, researcher at Hi Investment & Securities. The amount of stocks on sales for liquidation, on the other hand, reached a record high level as loan borrowers set out to selling off their shares to offset their losses and debts. Such stocks put out in the market in October amounted to 521.6 billion won, marking the highest since KOFIA started collecting and processing corresponding data in 2006.